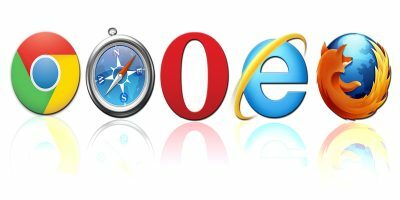 The tab is easily one of the most used feature in Firefox. 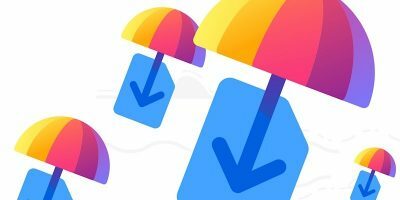 It gives you the convenience of browsing different sites in one single window and save you the trouble of too many windows cluttering your desktop. 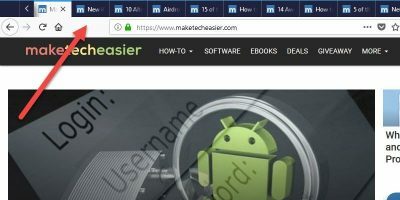 If you are like me, who like to open many tabs at the same time, here are 10 useful extensions that you can use to better manage your tabs. Tab Mix Plus is probably the best, if not, one of the best Firefox tabs extension around. It extends your tab function in many way that you never think is possible. 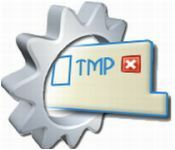 With TMP, you can duplicate tabs, control tab focus, tab clicking options, undo closed tabs and windows, and many more useful features. In fact, if you take a look at the database of Firefox extension, some of the tab extensions have long been included as a feature in TMP. If you don’t like TMP for the reason that it conflicts with some other extension, a great alternative will be Tab Kit. Tab Kit is another extension that gives you a great deal of control over your tabs. It allows you to group your tabs according to domain or parent tab and arrange your tabs in multiple rows. You can also shift your tab bar to the top/left/right of the window and also copy/paste/duplicate group of tabs by dragging. Tab kit is not compatible with TMP. 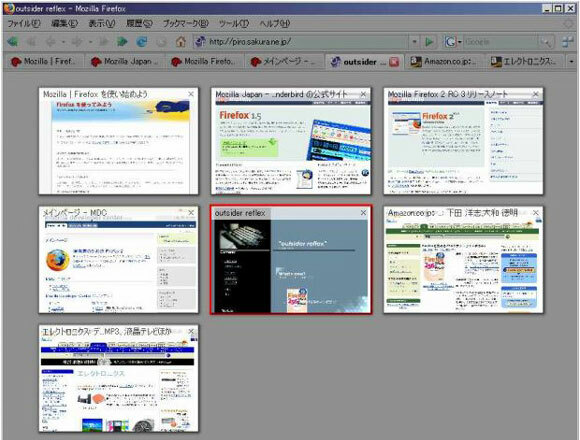 TooManyTabs is an experimental Firefox addon. It allows you store up to over 50 tabs without cluttering up your tab bar. TooManyTabs uses an extra rows just below your bookmark bar to store the tabs. Whenever you move a tab to TooManyTabs, the memory is freed up and can be allocated for other use. 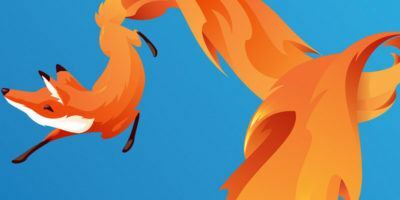 This helps to prevent your Firefox from consuming too much memory from idling tabs. Quick Drag is an extension of the popular SuperDragAndGo extension. You can easily drag and drop any images, highlight texts or links within the browser to open them in new tab. 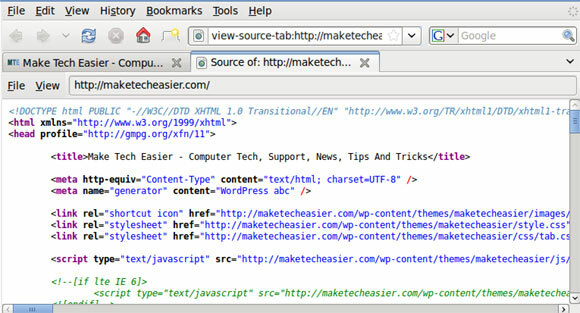 When highlighted texts are dragged and dropped, it will perform a Web search with the selected text on a new tab. Dragging and dropping an image will save the image to your Desktop. 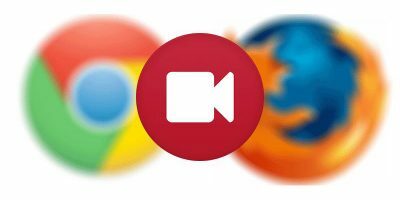 Opera users will know that you can easily split the browser into vertical, horizontal, cascade tiles for viewing of multiple tabs concurrently. Tab Split Tab is an experimental addon that aims to fulfill the same window splitting task in Opera. 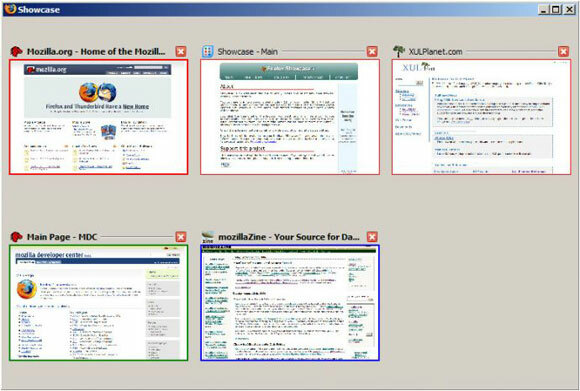 At the moment, you can split your Firefox browser into two and view multiple sites in one page. 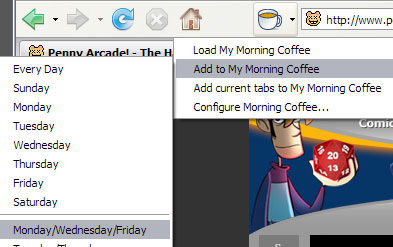 Morning coffee allows you to bookmark your frequently visit sites and open them all with one click. What is unique about this extension is that it allows you to choose which bookmarks to open on each day. 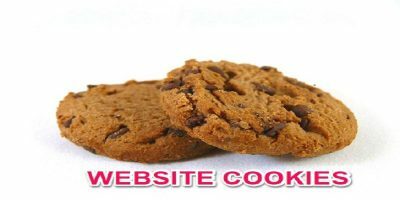 There might be some sites that are updated weekly and you don’t want to visit them every day. By defining the day that you want to visit the sites, Morning Coffee adds the sites to the appropriate day and load them all up when that day arrives. Tab catalog displays a thumbnail of all the tab on a canvas so that you can choose and load up the tab you want. This is useful when you have too many opened tab and can’t make out which is which. There are several ways to display the thumbnail canvas, either press Ctrl + tab, mouseover the Tab-Catalog button or press the view all tab button at the right of the tab bar. Firefox showcase is another extension that displays a thumbnail of all the opened tab. You can choose to load the thumbnail in a new tab, or in a new window. Though functionally the same as Tab catalog, Firefox showcase does provide you with more configuration options to personalize your thumbnail, such as setting the size, thumbnail caching, thumbnail updating time etc. This extension make the inactive tab fade as time passes and at the same time highlight the active tab making it more distinguishable. Custom colors can be configured for the aged and active tab. Colorful Tabs paints each tab with different color and make them easy to distinguish. The latest version comes with a default black background that many come to hate. Luckily, one can easily switch off the background from the Preferences page. If you open too many tabs at one time (more than 20), you will find that each of your tab become barely visible. 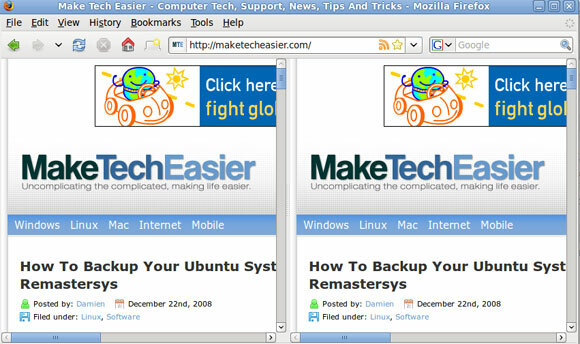 What Fish Eye Tab does is to zoom and expand each tab to display the tab label as you mouseover it. Fish Eye Tab is activated only when the number of tabs exceed the width of the Firefox window. This extension replace the usual tab with the site favicon, thus reducing the width of the tab. With FaviconizeTab, you can squeeze more tabs into the tab bar without it looking messy and untidy. This last one is actually my personal favorite. Being someone who did a lot of coding, I find it a chore to switch between windows just to view the source of a Web page. This Source Viewer Tab is able to open the source in a tab rather than in a new window. There are plenty of other tab management extension in the Mozilla database. Which one did you use to manage your tab? That’s one of the few firefox extensions that I can’t standing surfing without. Tree Style Tabs is THE best tab extension. Combine this with another extension that allows you to use the mouse scroll wheel to change tabs and you have the ultimate set-up (I think All-in-one Gestures does this). Now to change tabs I just move my mouse into the tab sidebar on the left and scroll through them. And the bar on the left stores maybe 30 tabs. Again, best on widescreen. 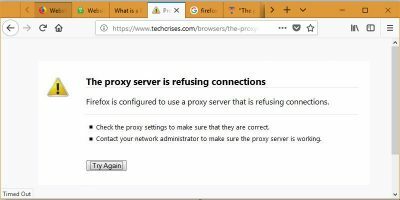 Search Tab ( https://addons.mozilla.org/en-US/firefox/addon/10164 ) is the bet addon I have come across for this problem… Its awesome!! !